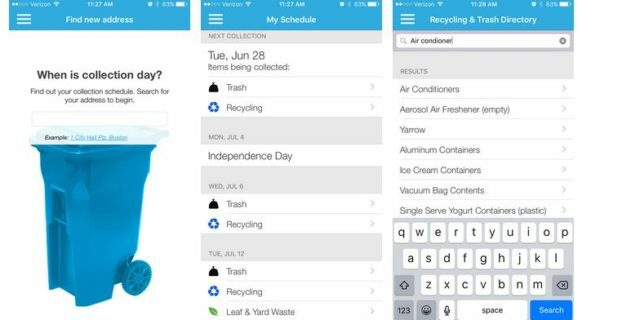 TrashDay is a mobile application that makes easier for citizens to remember when trash collection is planned. Through the use of analytics, this application contributes significantly in increasing the effectiveness of the waste management system while increasing customer service. The application has been developed by Recollect.net Inc. and has been tailored to meet the special needs of cities and municipalities willing to use it. Look up for specific materials they can recycle. Among the cities that use this application are Olathe and Boston.